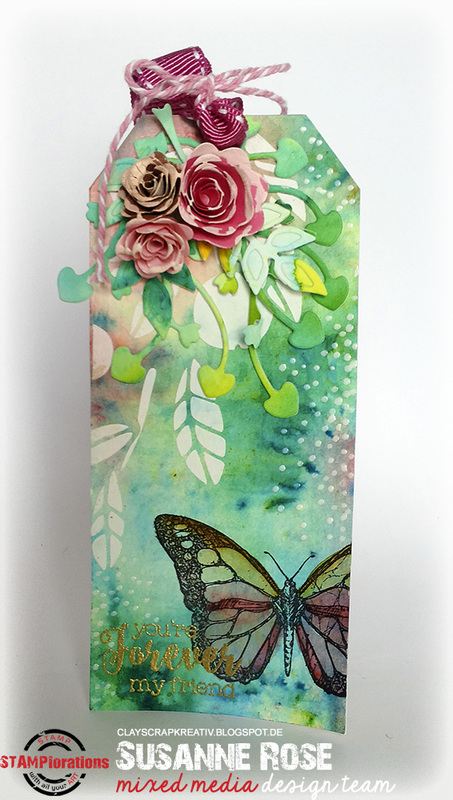 Heute startet wieder die monatliche Mixed Media Challenge mit dem Stencil Sunday auf dem STAMPlorations Blog. Zur Inpsiration hab ich dieses Tag gestaltet. Der Hintergrund ist mit Brushos entstanden. It's Stencil Sunday over at the STAMPlorations Blog and I'd like to share a mixed media tag today. The background is created with Brushos. BEAUTIFUL Susanne. What gorgeous colors. Happy New Year! j. This tag is so beautiful, LOVE the colors!